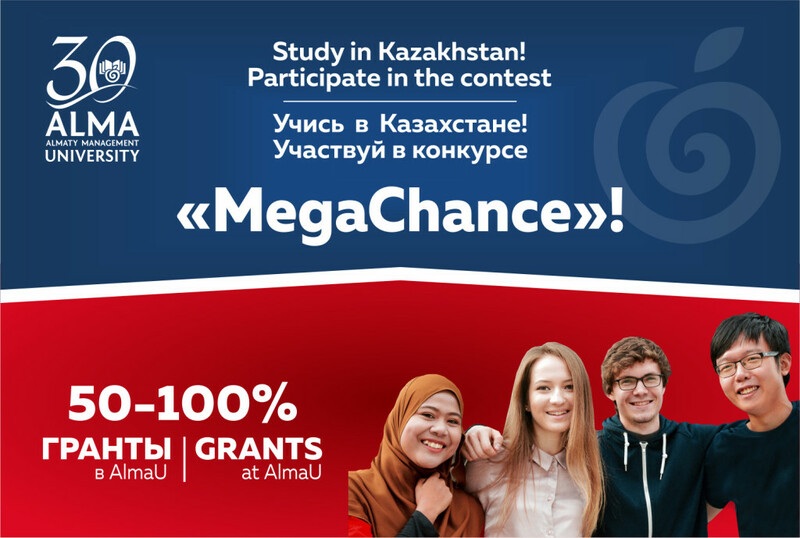 Almaty Management University opens the reception of documents for participation in the annual competition for foreign applicants - “MegaChance”! “MegaChance” is a chance to win a 50-100% grant for training at AlmaU! 1) Tell us about your personal achievement which is not related to your studies, but means a lot to you. 2) We know that in your life you are busy with many necessary things, tell us about something that you do just for pleasure. 3) Tell us about your environment; for example, your family, school, community, city. How has this environment shaped your dreams and aspirations? 5) Why did you choose Kazakhstan and AlmaU for your education? 1) Describe the problem you have solved or which you want to solve. It can be an intellectual challenge, a research inquiry, an ethical dilemma — everything that matters to you, regardless of scale. 2) Describe achievements or events, formal or informal, which marked your transition from childhood to adulthood in the context of your culture, community or family. 3) If you had to give a talk on TED talk, what would you talk about? 4) Describe the environment in which you collaborated or interacted with people whose experiences or beliefs are different from yours. Analyze your initial feelings and how these feelings were or were not changed by this experience. 5) What do you think Master's program in AlmaU will give you? Duration up to 3 minutes. ATTENTION! “Selfie” format is not accepted by the contest commission. * Interviews are conducted by Deans of Schools, depending on the chosen educational program, specialty, and language. Welcome to participate in the competition “MegaChance” - do not miss the chance to study at a world-class entrepreneurial, socially responsible university!